When it comes to network scanning, you may think of those very costly commercial products that not much people can afford. But it’s not necessary to have such a beast to accomplish a simple job such as finding out the open ports on the computers on the same local network. There are free yet powerful network scanner tools made just for that purpose. Let’s check out some of them. With Advanced Port Scanner, you can scan hundreds of IP addresses simultaneously at high speed. 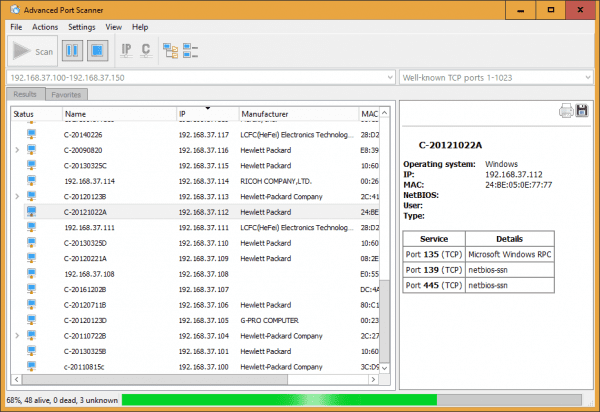 The software scans ports of network computers and finds any open well-known TCP ports, as well as their computer names and MAC addresses. Not only that, it also allows you to remote shutdown or wakes up any PCs found on the network. Advanced Port Scanner is my go-to tool whenever I need to run to find any open ports on a particular computer. 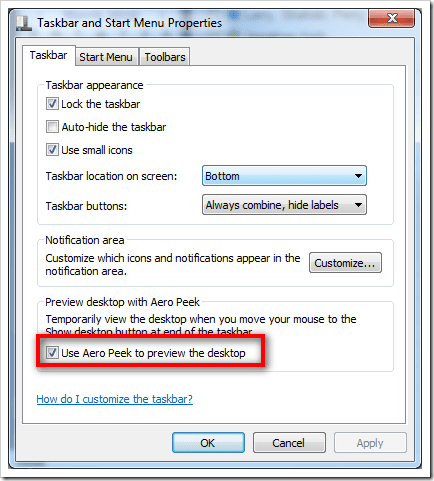 It works on Windows from XP up to Windows 7 and 8.1, both 32-bit and 64-bit. 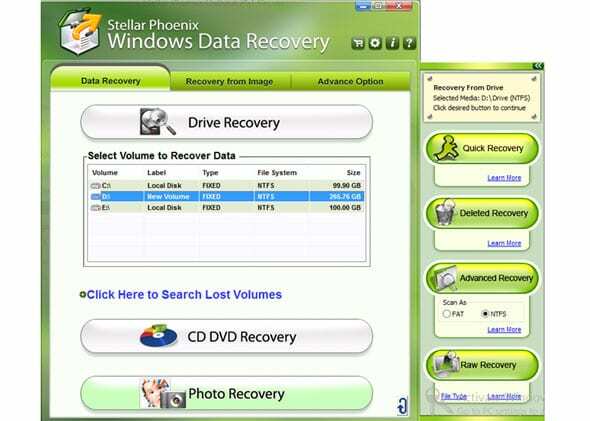 The downloaded software package comes with both installation and portable versions. If you want just to run it without installing it on your computer, simply choose Portable after launching the tool. 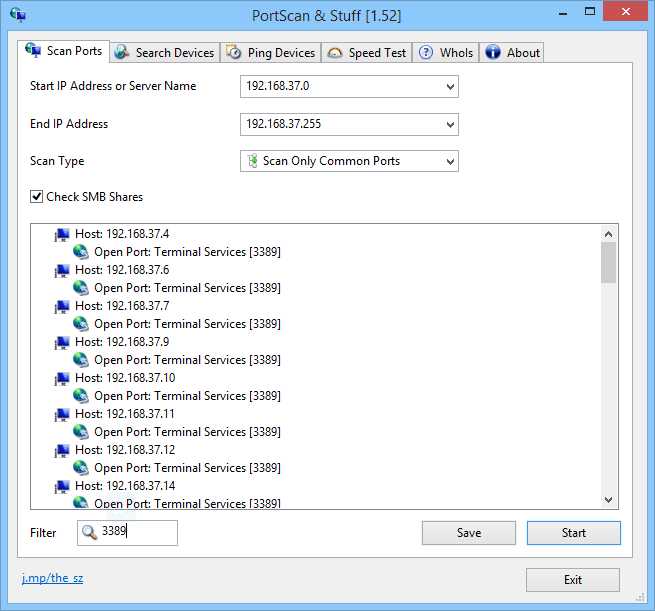 PortScan & Stuff is a free portable network scanning tool that identifies all active devices on your network, showing all open ports and additional information like hostname, MAC address, HTTP, SMB, FTP, iSCSI, SMTP and SNMP services. For a large network, it uses up to 100 threads to speed up the performance. One thing I find is quite useful is its Filter feature that narrows down the scanning result based on my own criteria. For example, I can easily type 3389 in the filter box to find out all devices that have Remote Desktop Protocol turned on that I can remotely log in without the problem. As its name states, it also can do quite a few other stuff too, such as searching for devices even if you don’t know their IP address, Pinging devices with 3 standard sized Ping packets in 3 different type of pings, or speed testing your internet connection by downloading and uploading data to various servers. MiTeC’s Network Scanner is a free multi-threaded ICMP, Port, IP, NetBIOS, ActiveDirectory and SNMP scanner with many advanced features. It is intended for both system administrators and general users who are interested in computer security. The program performs ping sweep, scans for opened TCP and UDP ports, resource shares and services. For devices with SNMP capability, available interfaces are detected and basic properties displayed. In addition, you have to edit results, save/load results to/from CSV and print network device list and any data in any section can be exported to CSV. It can also resolve host names and auto-detect your local IP range. 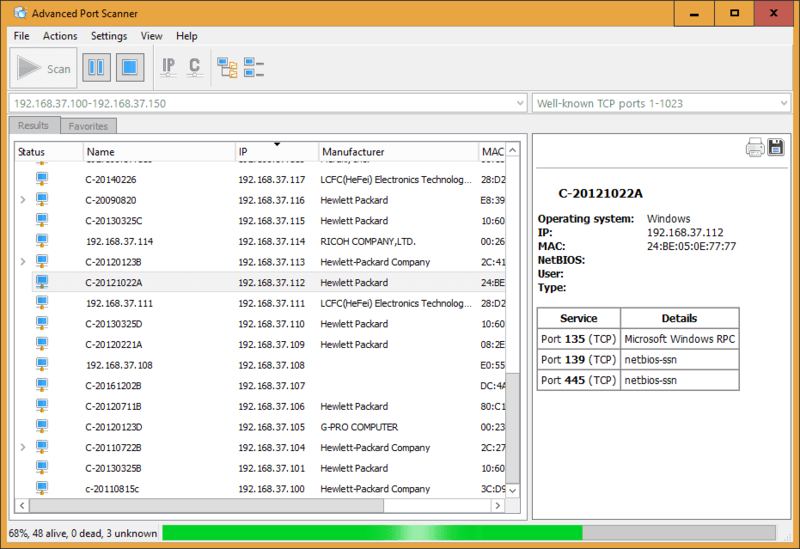 MiTeC’s Network Scanner works on pretty much all Windows platforms including server versions. It’s free for both personal and commercial use. Check out this post and download the script to be a real cool geek. Microsoft also has its own port scanner called PortQryUI, and it’s been around for a long while. But comparing to what’s offered in the tools listed above, it’s quite limited so if you are a frequent port scanner I wouldn’t recommend using it. Personally, I like Advanced Port Scanner and will probably keep it as my primary go-to tool. I also like what I see in PortScan & Stuff, especially the filter feature that would make my life a lot easier. MiTeC’s Network Scanner is a new tool that I just discovered recently. So far I like what I see. It’s an advanced network scanning tool with a lot of features for both home users and IT pros to use. Can I Develop on Windows Subsystem For Linux aka Bash On Windows? It was right with the title. but since it’s not so obvious, I’ve updated the post to include them in the post now. Thanks for letting us know.